We believe that Quality is of utmost importance when choosing your wheel bearings, but that does not mean you should pay the earth for them. We Stock NTN/SNR as our main brand as they offer excellent value and supply approximately 45% of the Japanese Motorcycle manufacturers, such as YAMAHA, HONDA, SUZUKI and many others worldwide. 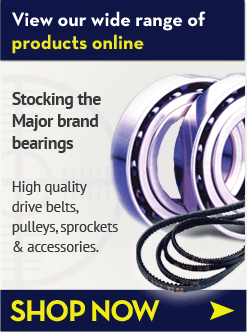 Not only is quality important, but you would want your bearings to last as long as possible, which is why we always supply “2RS” style nitrile rubber sealed bearings. These offer better resistance to water and road dirt ingress than metal shielded “ZZ” types, and keep that all important grease in place and contaminant free. We are currently working on our full application list, and will continue to add to this site in the near future. In stock & ready to ship Today, These High Quality Sealed, Pre greased and ready to fit. 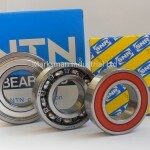 Yamaha front &rear wheel bearing & sprocket sets, listed by model and year. 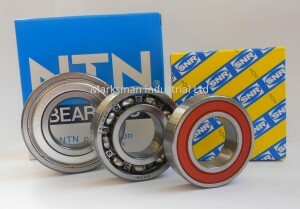 A selection of NTN/SNR bearings listed by The original Part number that they replace.